A teacher faces being struck off after she was allegedly seen lying naked on top of a teenage pupil at her home. 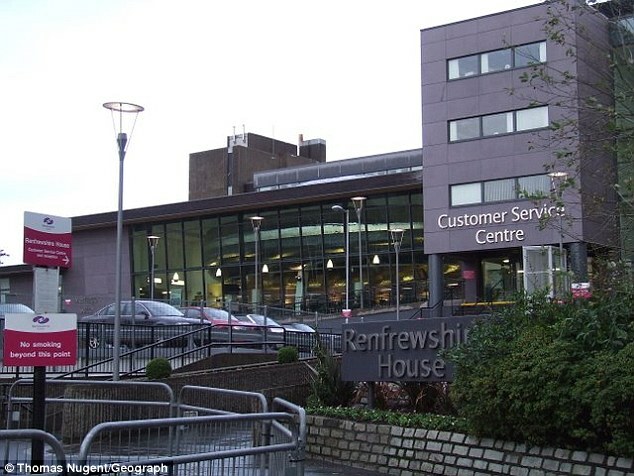 Elizabeth Smillie was also seen kissing and holding hands with the same girl at one of Scotland's biggest family parks, the General Teaching Council for Scotland (GTCS) heard. The music teacher from Renfrewshire faces a total of four allegations ranging from 2010 to 2012. Smillie is also said to have 'conducted inappropriate relationships' via text and Facebook with two other pupils. 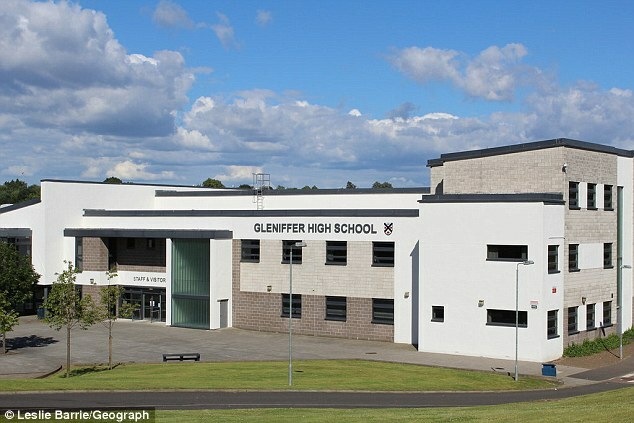 It is claimed the teacher was found naked with the 17-year-old student - referred to as Pupil C - after they began dating while she taught at Gleniffer High School in Paisley. Ms Smillie was not present or represented at the hearing, but denies inappropriate conduct. If the charges are proved she could be struck off the teaching register. The panel heard evidence from Pupil B, a friend of Pupil C, who said she, another pupil, and Pupil C were at Smillie's flat where they would drink alcohol. Pupil B said: 'I think it was June, or summer holidays. I walked into the room. I was looking for Pupil C. I opened the door and Elizabeth Smillie was naked on top of her. When asked by the panel how sure she could be about what she saw, Pupil B said there 'no doubt' that it was Smillie and Pupil C in bed together. She claimed Smillie turned up at a party to pickup pupil C on a different occasion. She also spoke of another alleged incident where she, Pupil C and Pupil D went on a school trip with Smillie. Smillie is alleged to have had 'inappropriate conversations of a personal and sexual nature' with a Pupil A aged 15. Smillie is also accused of failing to inform colleagues about the pupil coming to school under the influence of alcohol. The teacher is alleged to have sent Pupil C a friend request on Facebook, given her her mobile number, and 'engaged in inappropriate communication...of a personal and sexual nature using Facebook and texts. According to the charges, the teacher repeatedly meet Pupil C outside of school hours when Pupil C was under the influence of alcohol and repeatedly engaged in inappropriate sexual activity with Pupil C.
The GTCS alleges that her fitness to teach is impaired and that she is unfit to teach.